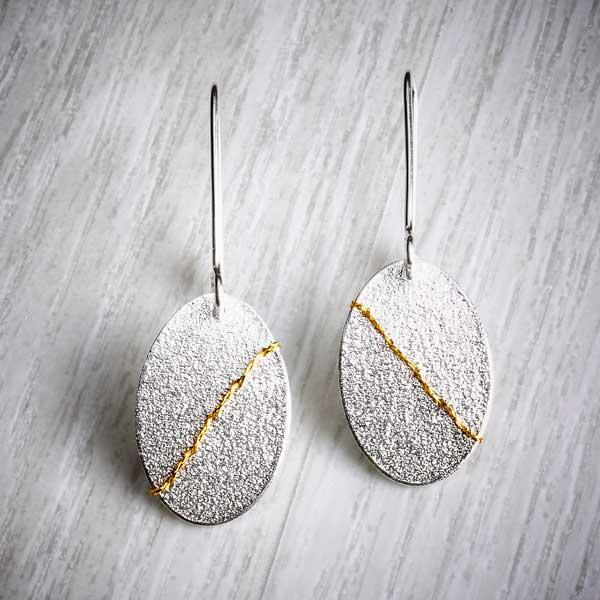 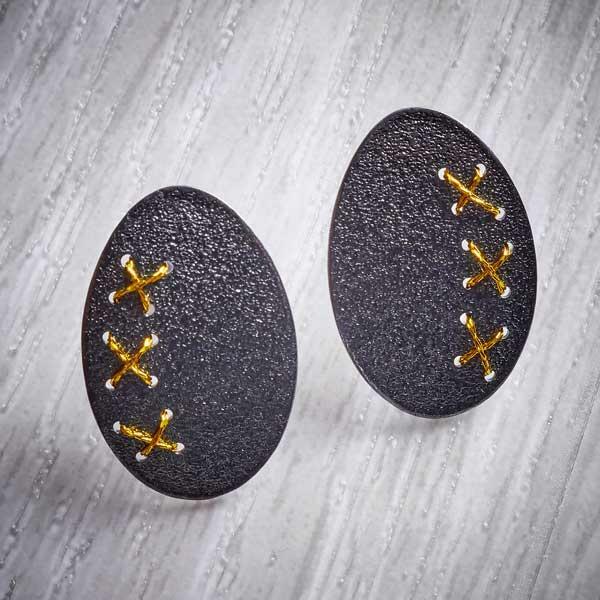 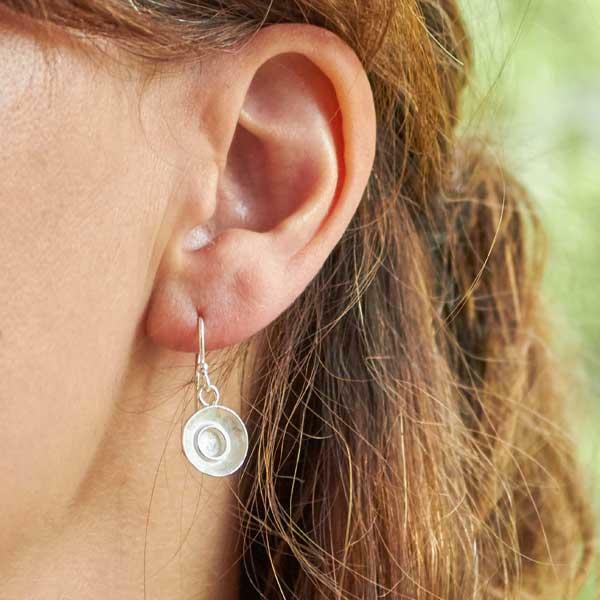 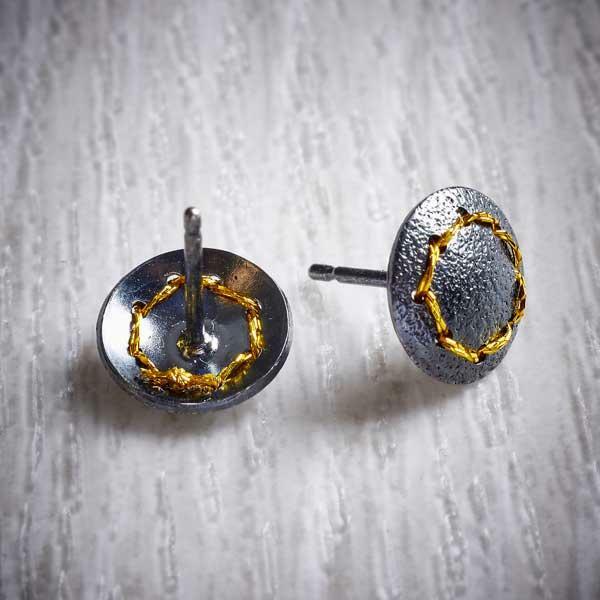 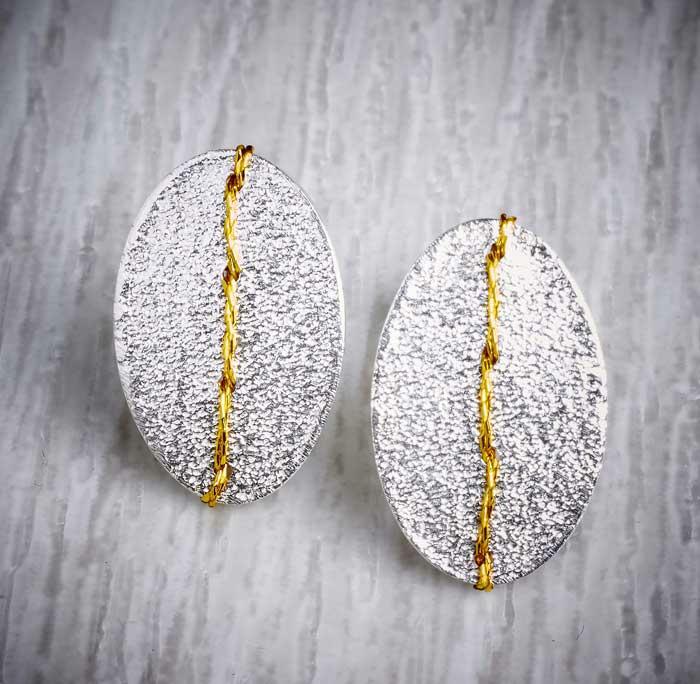 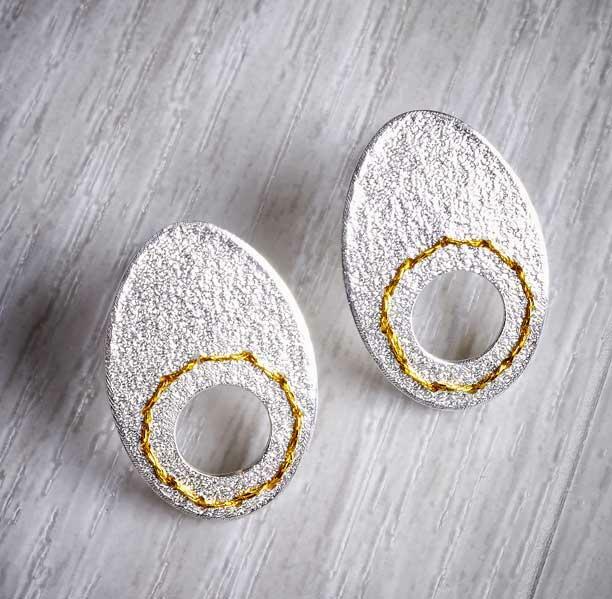 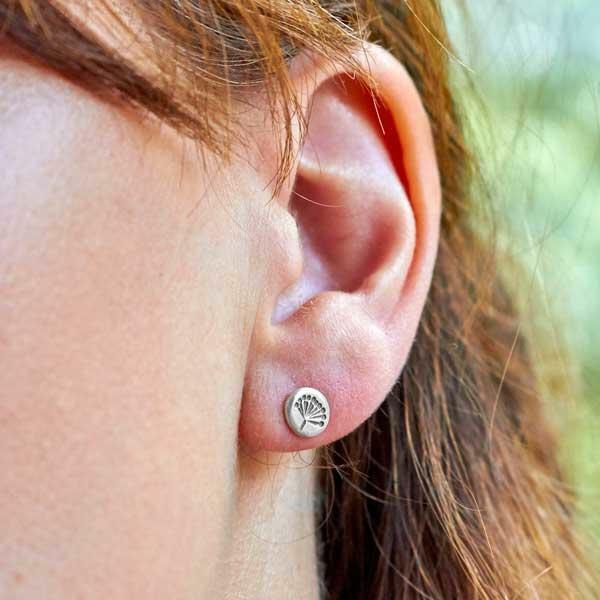 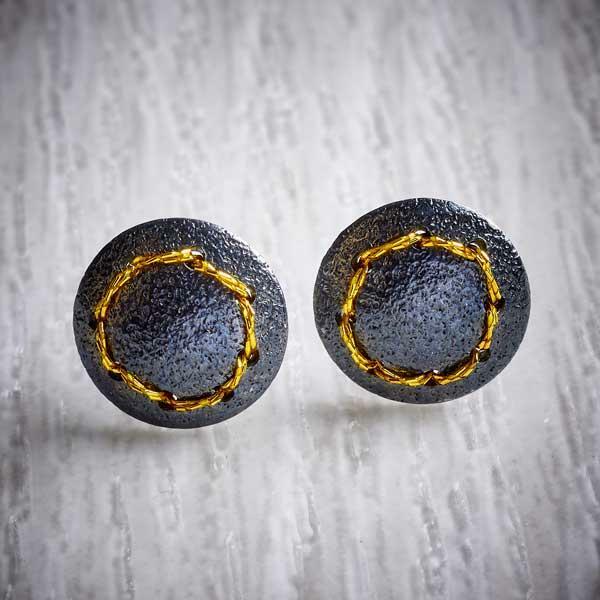 The metallic, gold thread circle, sewn through the silver on these small stud earrings, creates a striking contrast against the shiny black silver. 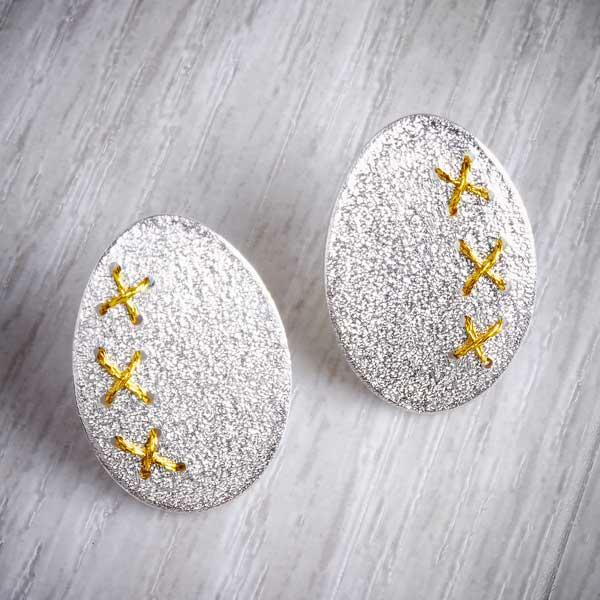 This Sewn-Up range is inspired by my seaside holiday hobby, I have a large collection of pebbles, I love finding the ones with a line of white quartz running through them. 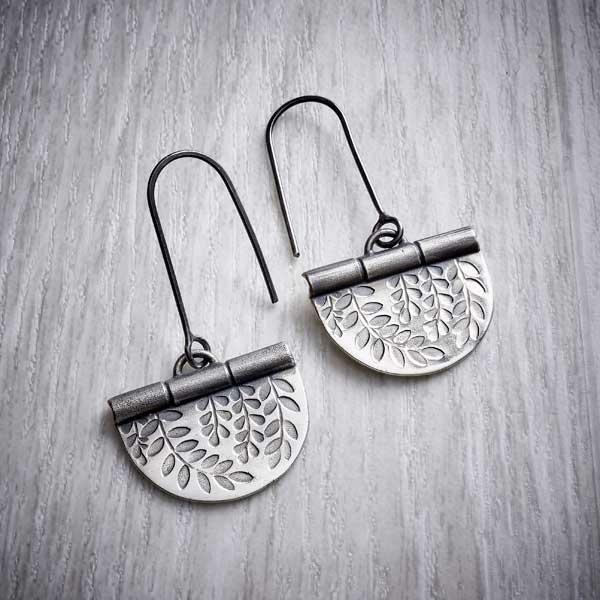 I wanted to recreate these in a more wearable form. 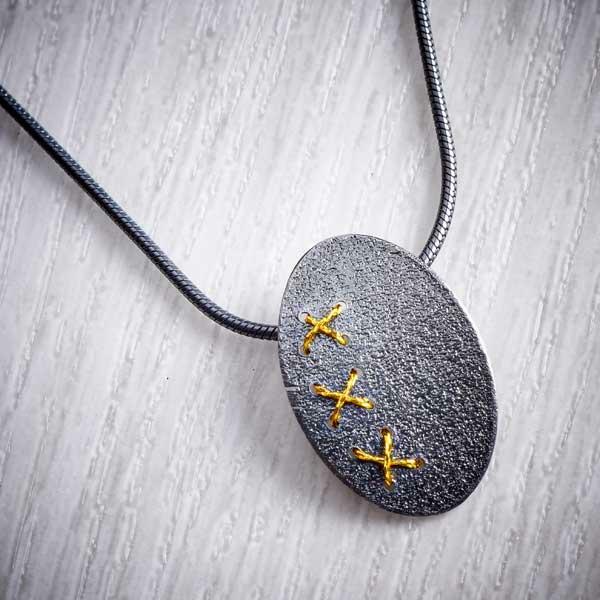 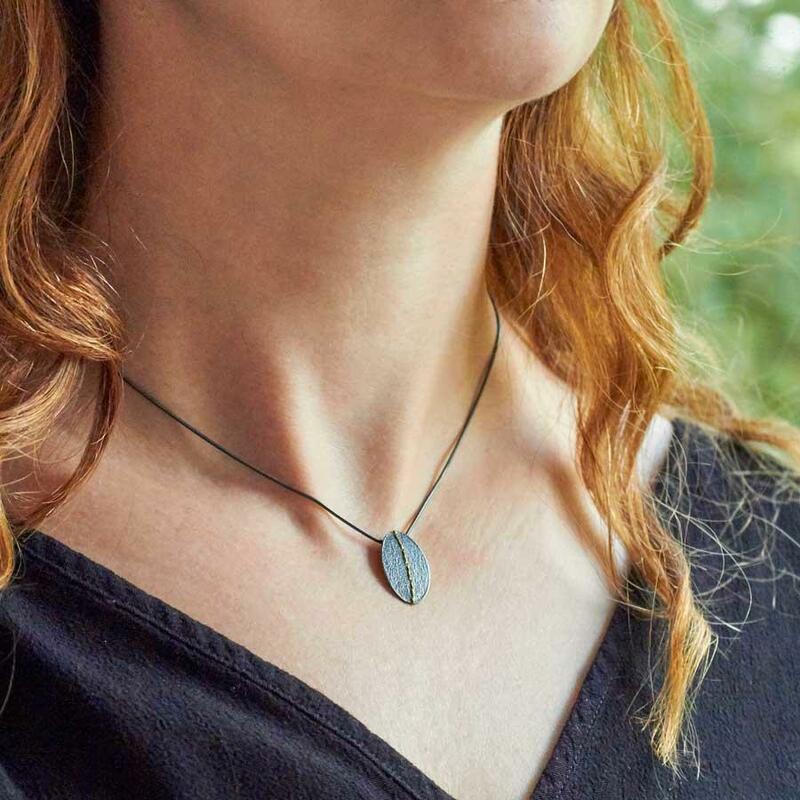 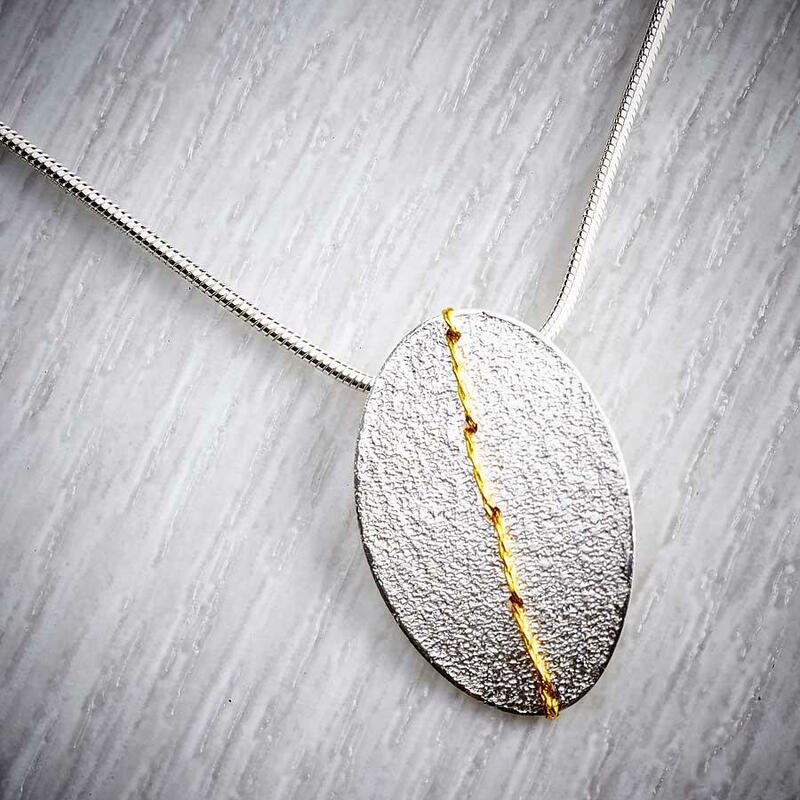 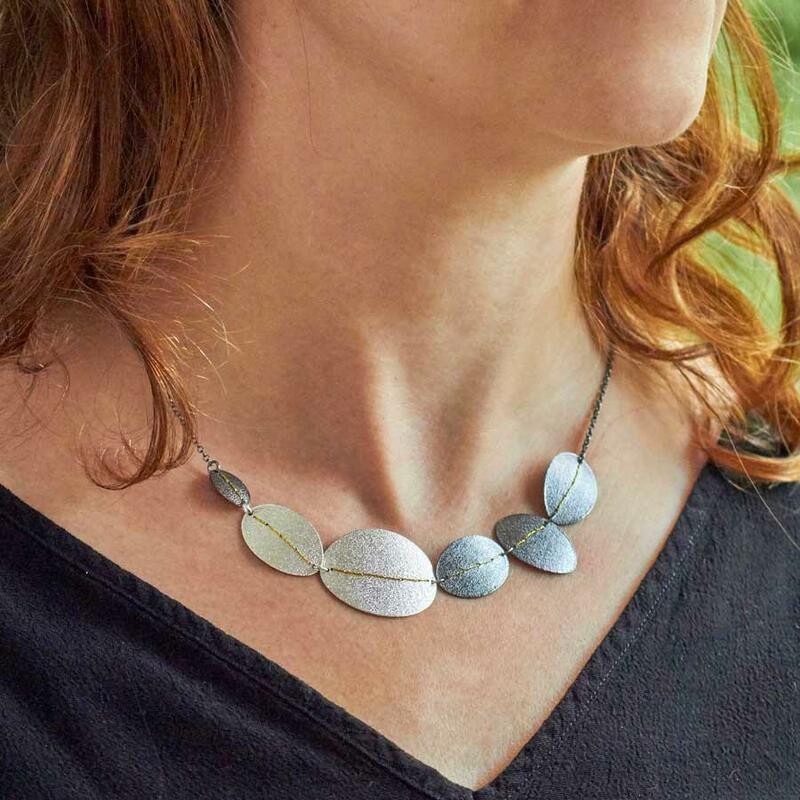 I have embossed pebble shaped discs of silver with a subtle texture and for contrast, added a shot of colour using bright bold embroidery threads. 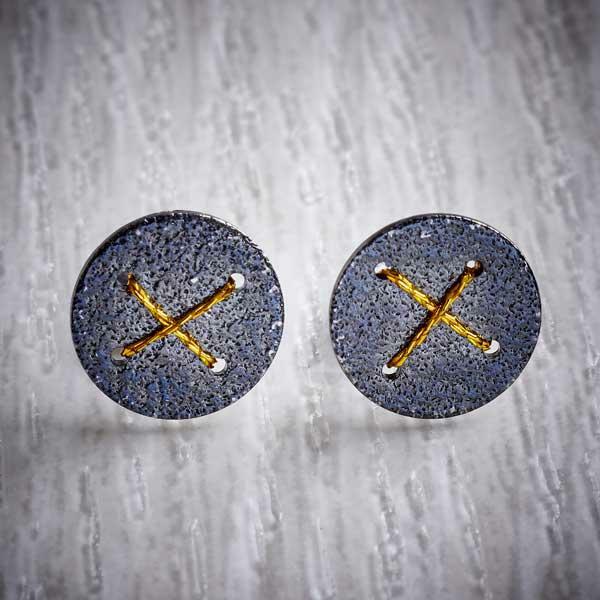 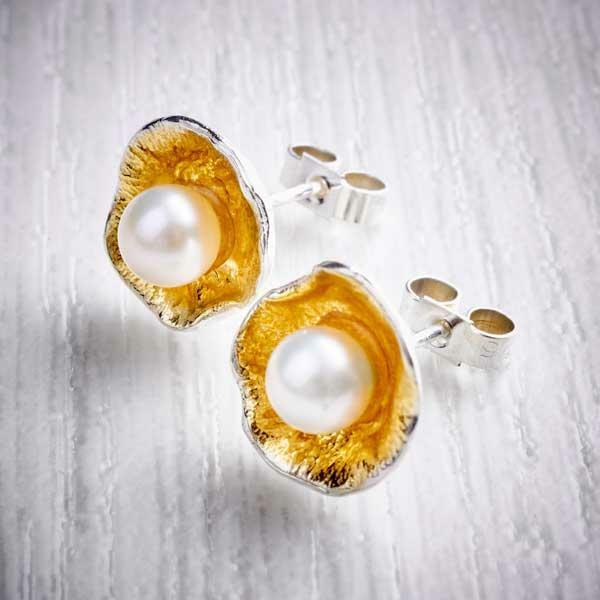 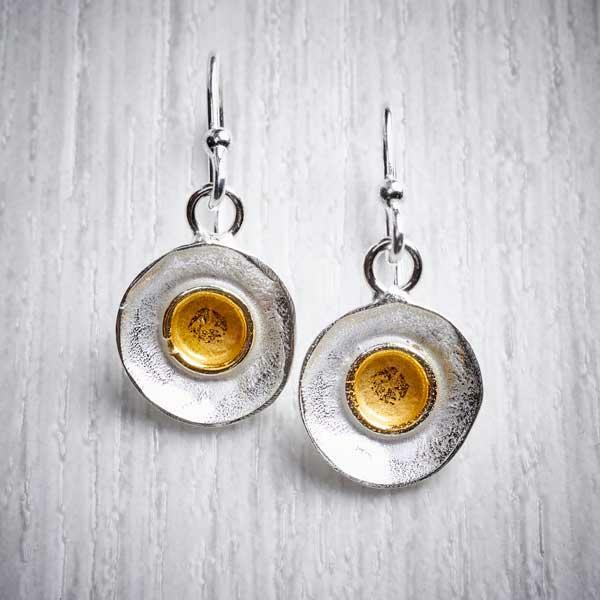 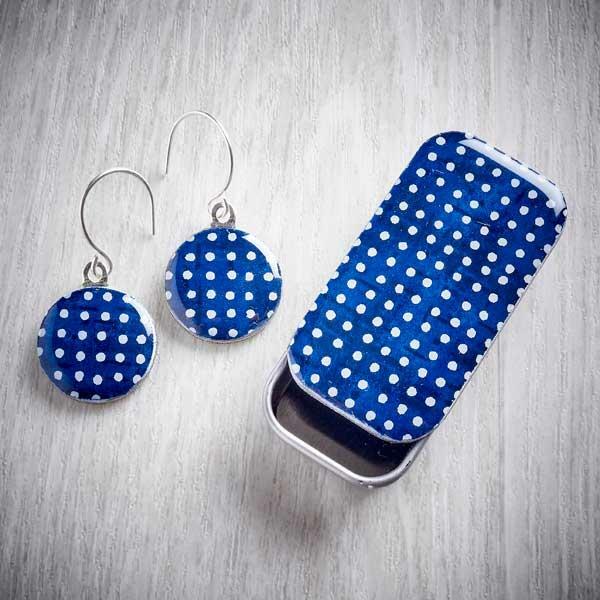 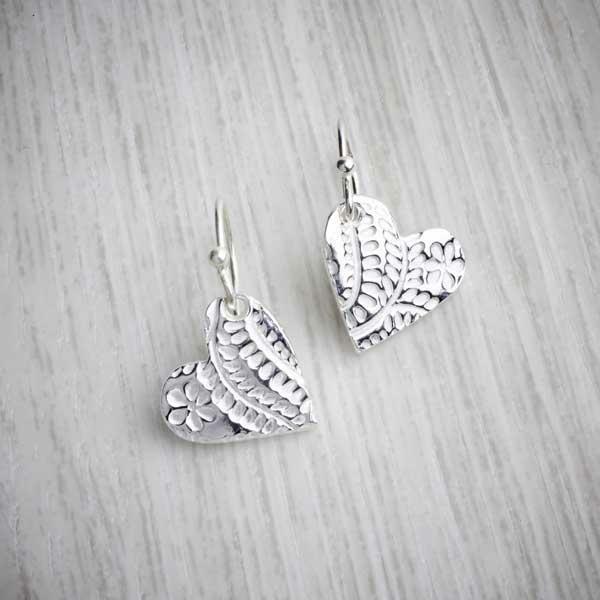 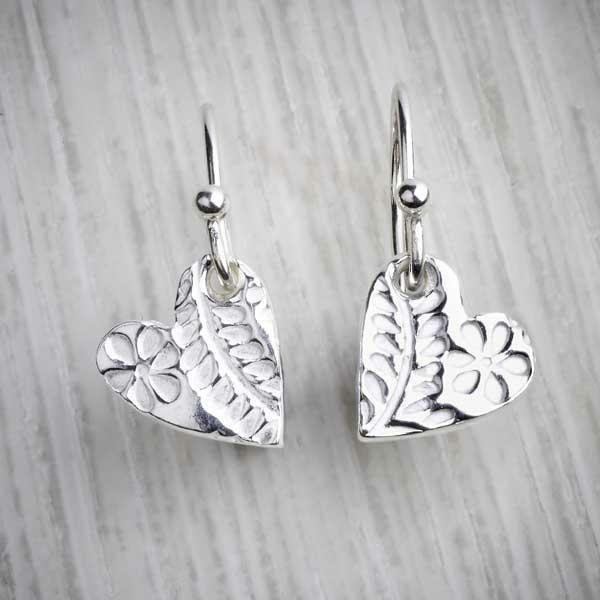 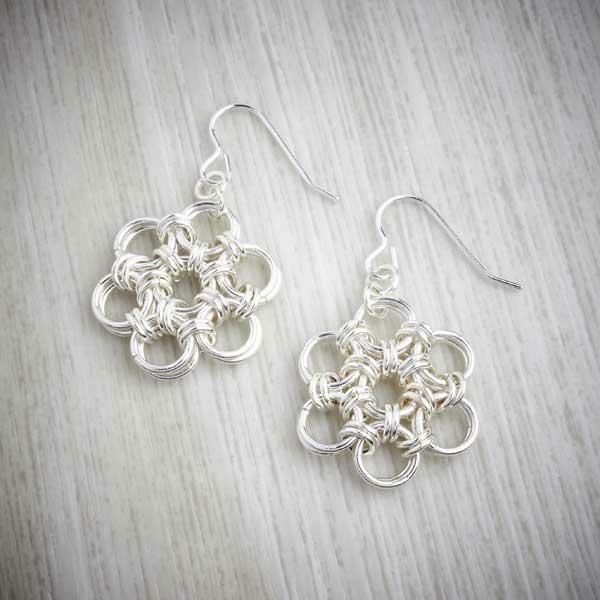 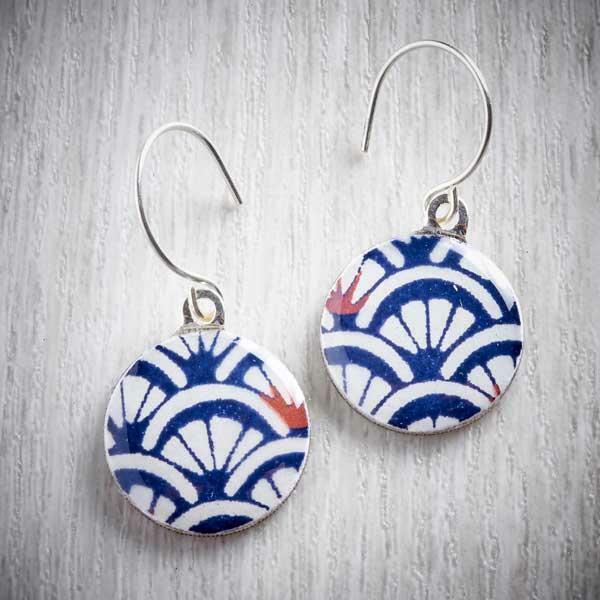 The earrings measure approx 9mm in diameter.